Apple says demand for its iPad tablet has outstripped supply forcing it to postpone, by one month, the worldwide release of the iPad. 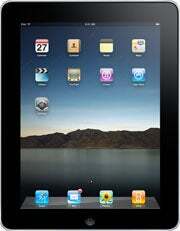 Apple did not specify if there would be any delay in shipping its 3G version of the iPad to U.S. customers. The 3G version of the iPad is due to ship later this month, according to Apple. Apple originally said the iPad would be available "late April" in Australia, Canada, France, Germany, Italy, Japan, Spain, Switzerland and the U.K.